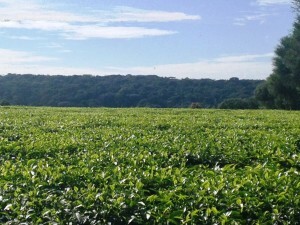 The region of Kericho, in the southwest of the country, is the main tea growing zone of Kenya. Hundreds of workers on the rolling hills pick the leaves from the bushes. A car dangling sacks of jute makes its way through the mud and down the slope. The produce is weighed in the valleys. In the food kiosks in the town of Kericho everyone drinks tea. Almost a century ago the colonialists founded the first plantations. The zone at the foot of the mountain proved ideal for this. Tea became the green gold of Kenya. But for how long will that be the case? “The bathroom of Kenya”, Kericho is called. Because around the Mau it used to rain all the time, almost every day. Rising hot air of Lake Victoria hit the forest on the mountain, where the rains of the broken clouds are stored in the spongy ground. The forest lets the water slowly drain away into more than ten rivers. These rivers feed six lakes, including Lake Victoria, the source of the White Nile. The Mau is an indispensable ecological system for East Africa and beyond. It seemed that the forest could never change, the five hundred year old trees, the layer of foliage through which no sunlight penetrates. But now the bathroom sometimes falls dry. And the next time it gets flooded. Because of logging, the mountains no longer hold the rainwater but spit out furiously a wave of brown dirty water. Earlier this year, Kericho had too little water, now – unusual for this time of year – it gets flooded. Paul Kiprono Chepkwony is governor of Kericho, one of the 47 districts that were created when Kenya was divided administratively three years ago. Land in Kenya is a means of political patronage. In colonial times, whites took 20 percent of the most fertile ground. Promises for a fairer distribution of land after independence were not fulfilled due to land grabbing by the political elite. With the Kenyan population tripling in thirty years, to well over forty million, the land is now almost all occupied. Therefore greedy politicians turned to the last forests and water catchment areas. For years, politicians had been nibbling at the forests of the Mau. In 2011 they started their largest theft yet. The then president Daniel arap Moi (1978-2002) cut 67 000 hectares out of the 400,000 hectares of the officially protected Mau. He established a tea plantation for his family and gave pieces of land to his supporters and tribesmen. Land ownership is politics and politics is tribalism. So when the next government wanted to roll back the landgrabbing, tribal tensions emerged. Because the new government consisted of another tribal coalition. All stakeholders, led by the Dutch Sustainable Trade Initiative, moved to work together: the tea multinationals, small tea farmers, three governors and the Kenyan Wildlife Service(KWF). Nobody doubts anymore the unfolding environmental disaster around the Mau. Another wakeup call came with the drying-out of the Masaai Mara game reserve on one side of the Mau and on the other the floods and landslides in recent weeks where people and livestock drowned. “Then surely you report it to a local government official?”, another one says. “He is supposed to protect you”. “But it’s all so politicized”, says a game warden. “With one official you can report illegal occupants, but with the other you cannot, because he is afraid to lose political support”. “Aha”, says a forester. “Now we speak the language of the forest. This is the reality. Namely that not everybody is cooperating yet. I arrested a notorious illegal occupant. But a magistrate released him. 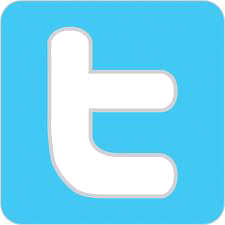 Later I received a death threat by SMS”. All attendees decide on a new action to expel thousands of illegal immigrants from the forest.